A public meeting held this week on a new heavy vehicle route planned for the eastern side of Warwick aired serious questions and concerns from residents along the proposed route. The Southern Downs Regional Council says a federally-funded upgrade of Ogilvie and Depot Roads would improve road safety and access to farming areas for heavy vehicles including B-Doubles. The council has previously said a Federal Government grant of $395,000 would upgrade 2.6km of the roads and associated intersections, with the project expected to be completed in April 2020. But with the project only at a ‘concept design stage’ the council agreed to host a public meeting at the Warwick Town Hall last Tuesday 15 January following a request from potentially-affected residents. The meeting was attended by around 200 locals, with the main concern being the use of the upgraded roads by heavy vehicles of all sizes and not just B-Doubles, significantly increasing traffic through that eastern part of Warwick by trucks seeking quicker access to the Cunningham Highway. The concept envisages B-Doubles turning off Yangan Road and down an upgraded Depot Road and Ogilvie Road and accessing the highway in the vicinity of the Caltex Roadhouse. But many at the meeting were adamant even if the upgrade goes ahead trucks would turn right onto Freestone Road and access the highway that way. Questions were raised about the ability of both Yangan and Freestone Roads themselves to cope with B-Double traffic if not upgraded – neither road is currently approved for B-Doubles – and how many B-Doubles would actually service farms on the eastern side of Warwick. A ‘concept approval’ document prepared by council officers in early 2018 states the project “will commence the opening up of B double access to the farming communities that range from the Cunningham Highway to the Condamine River, taking in localities such as Junabee, Emu Vale, Tannymorel, Swanfels, and Freestone”. “This will allow for more freight and the efficient movement of stock and grain,” the document states. “The background stems from community engagement with stakeholders on the 15 February 2017 (when) the Mayor held a workshop to discuss with industry the requirements to be able to get better B Double access into our region. Mayor Tracy Dobie told those at Tuesday night’s meeting the project was only at the ‘concept’ stage and further public consultation would be carried out when a detailed design of the proposed route upgrade is completed, potentially within the next several months. 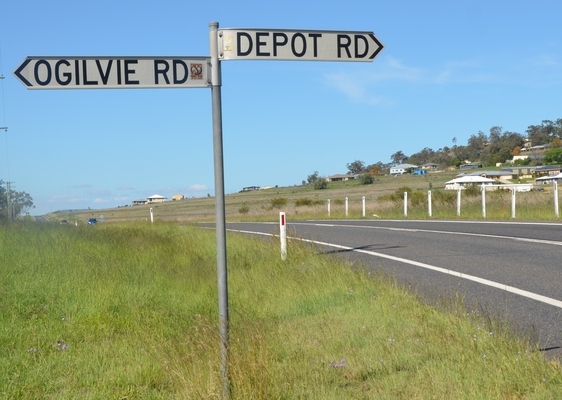 Depot Road is expected to be sealed later this year either way with separate ‘betterment’ funding granted by Canberra following Cyclone Debbie. It is unclear how the project would align with a major planned replacement of Palmer Bridge on Freestone Road, a project which is part-funded with Federal money and required by Canberra to be completed by 30 June 2020.